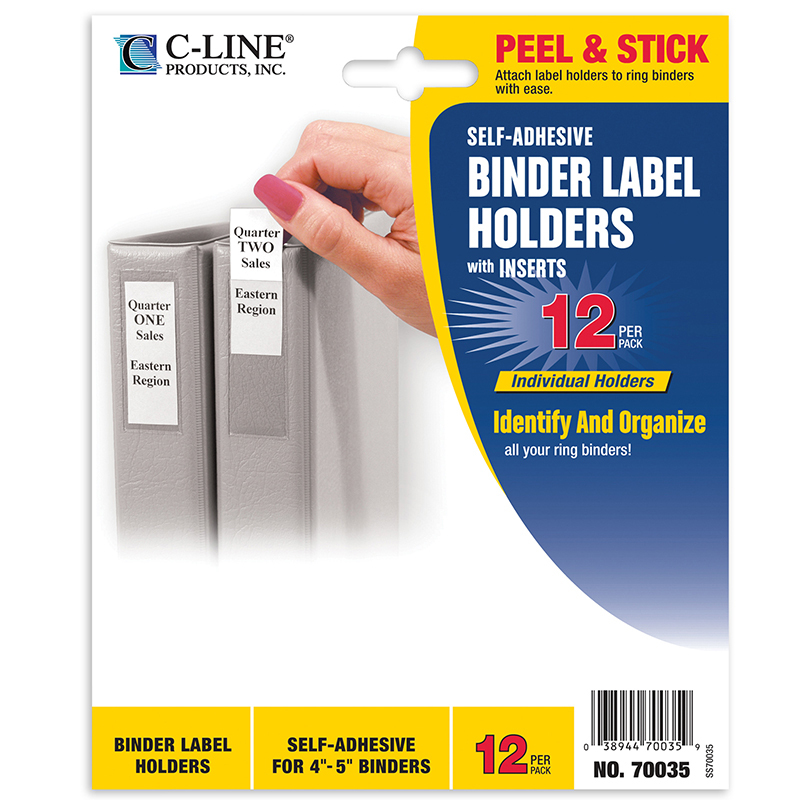 Make binders easier to identify with these self-adhesive labels. Conveniently packed so an office of any size can stay organized. Includes cardstock inserts for the label holder. Hand write or use a label maker for quick customization of each insert. Or, print on your own 8.5" x 11" paper. For 4-5 inch binders.